Maduro called for an investigation of Movistar, a subsidiary of Spain's Telefonica, during a televised speech on Thursday, saying the company had supported a "coup." "I have asked for an investigation because [Movistar] joined the coup march against the country, and that is not its job," Maduro said. Maduro claimed that Movistar has sent millions of messages to its users to promote the anti-government protests that have rocked Venezuela in recent weeks. Protesters accuse Maduro of eroding democracy and mismanaging the country's increasingly cash-strapped economy. Movistar and Telefonica did not immediately respond to requests for comment. Movistar has 11 million customers in the country -- about one-third of the population. Maduro's announcement comes just a day after General Motors (GM) said authorities unexpectedly seized its auto manufacturing plant in Venezuela, showing a "total disregard" of its legal rights. Huge swaths of Venezuela's economy have been nationalized in recent decades, including private oil, telecommunications, energy and cement businesses. The country is now in crisis mode: Its economy shrank by 18% in 2016 -- the third consecutive year of recession. Unemployment is set to surpass 25%, and its people have suffered from widespread shortages of food and medicine. 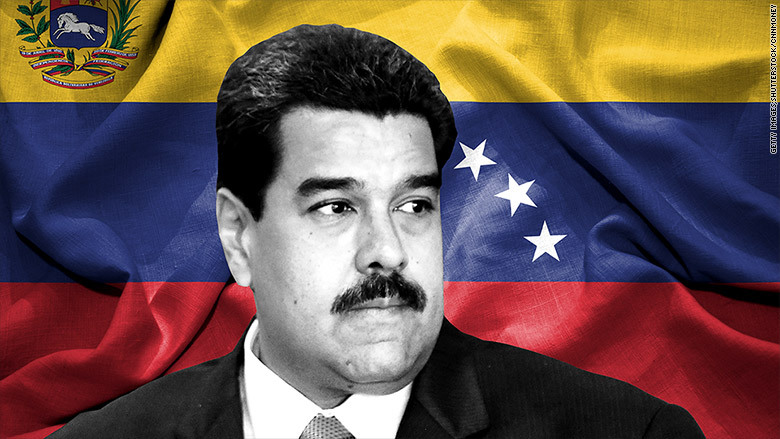 Venezuelan President Nicolas Maduro has been accused of behaving like a dictator. 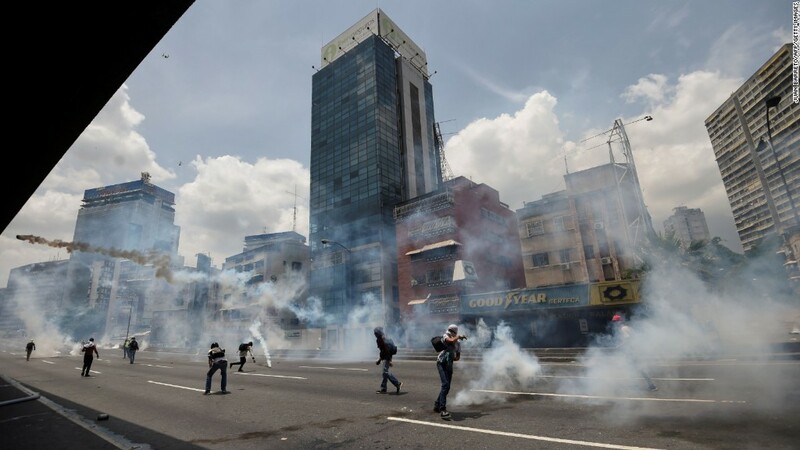 The recent large-scale protests erupted after Maduro's administration barred opposition leader Henrique Capriles from holding political office for the next 15 years. At least nine people have been killed in the protests. Maduro has been accused by the opposition of behaving like a dictator. Telefonica has been operating in Venezuela since 2005. It made €432 million ($462 million) in the country last year. -- Mariano Castillo contributed to this report.